Plenty of consumers who pin often come across frustrations that eCommerce businesses can easily capitalize on. Learn how to look at Pinterest in a consumer's view to provide great marketing and branding opportunities with your products and services. Earlier this year, Sara wrote an article about Pinterest for Business so I decided to do a follow up from the consumer side. I recently got engaged and Pinterest has literally been the most amazing wedding planning tool I could have hoped for. 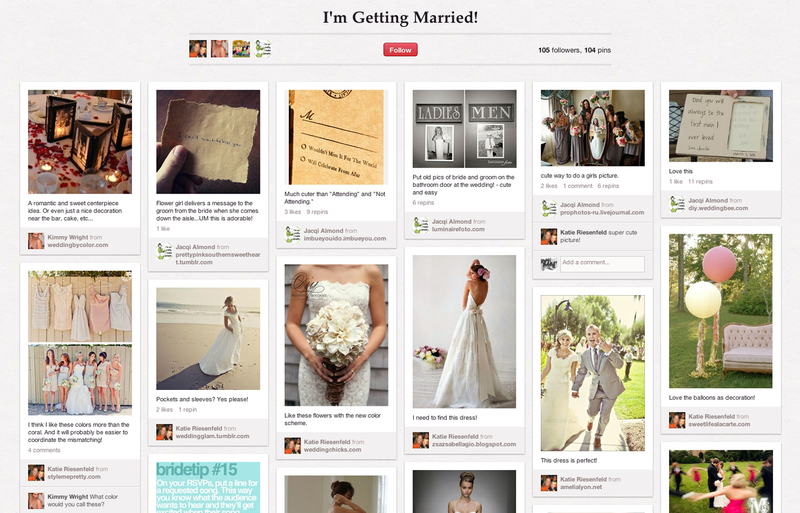 As soon as I pinned my first item to my ‘I Am Getting Married’ board, my friend (who was married two years ago) sent me a Facebook message – “I am so jealous that you have Pinterest to help you organize and plan your big day! 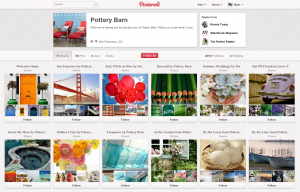 Pinterest provides businesses great marketing and branding opportunities, as long as they use it the right way. I am pinning everything from wedding dresses to bridesmaid dresses, vases to flower arrangements, and invitations to wedding tips. You name it; I’m pinning or repinning it. 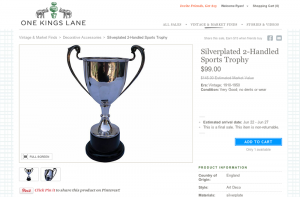 But with pinning comes some frustrations that I think businesses involved with eCommerce strategy can capitalize on. When I find a pin of a dress that I might want to buy, I repin it and then click the picture to take me to the site where I can buy or find out more information about the product. But unfortunately, more often than not, the pin links to a Google image or something that I can’t get any additional information on. Then looking at the comments, you see other people’s frustrations and eagerness to find the product. Online retailers have two ways to help make these empty searches occur a little less often and help the consumers find their products easier. 1. Create your own Pinterest page with your top products and control how they are shared through this social pin board tool. When creating your board, be sure to label items with keywords and relevant search terms not only for SEO value, but so that your board is more likely to come up in searches through Pinterest. 2. Add the option on the product page to ‘Pin This Item.’ In doing so the product automatically links back to that page and will populate the label with a title you create. By linking back to your product page it’s more likely to increase your conversion rate by leading more customers to the purchase of your products. Finally, by creating your own board for your eCommerce site, you will know when your products are being repinned and when someone is making a comment or asking a question. So you increase customer engagement and have a new, happy customer!